According to the style watchers it’s never been a better time to be pretty in pink, when it’s set to become the most popular pastel shade. That’s not to say that it isn’t a colour of extremes – the vibrant tone of a shocking pink is hardly likely to go unnoticed - so if you’re feeling dramatic, go for a more crimson or cerise when injecting some colour into the bathroom. 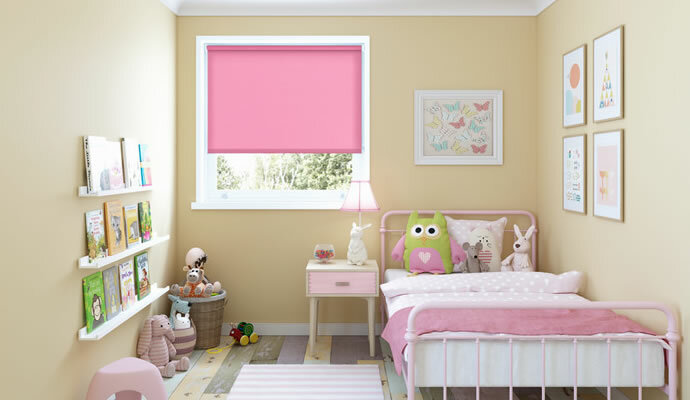 Alternatively, stick to softer powder pink blinds for a bedroom or a dressing room. 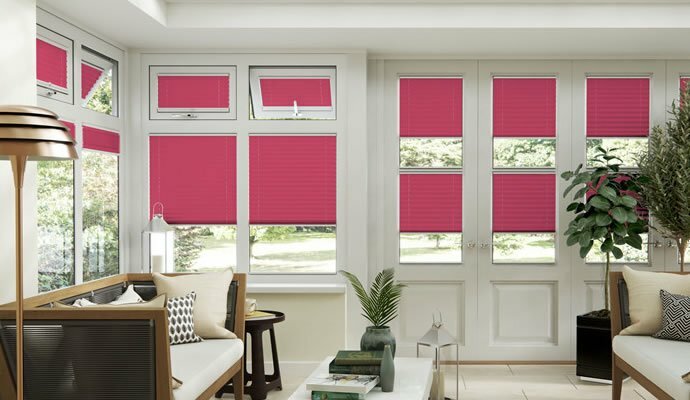 Of course, if your colour scheme is already fairly neutral then fitting bright pink window blinds could well transform the look and feel of a room completely. 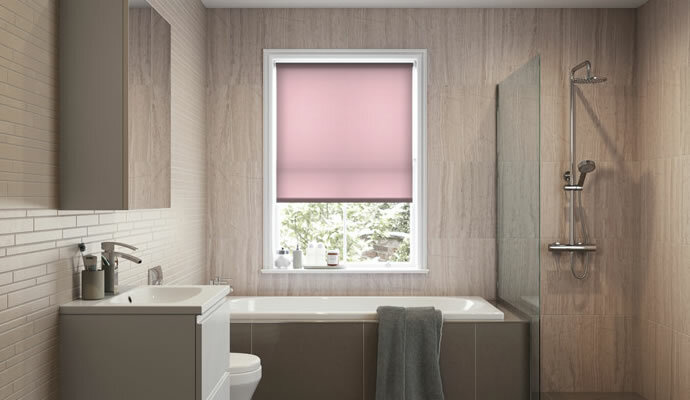 The practicality of pink roller blinds makes them perfect for a bedroom, and if you choose water-resistant fabric they’re great for a bathroom too. Pink Roman blinds are certain to transform a bedroom into a boudoir, adding a real sense of indulgence and pampering luxury. From pastel shades to flamingo, pink vertical blinds can create a very dramatic effect in a number of different colours. 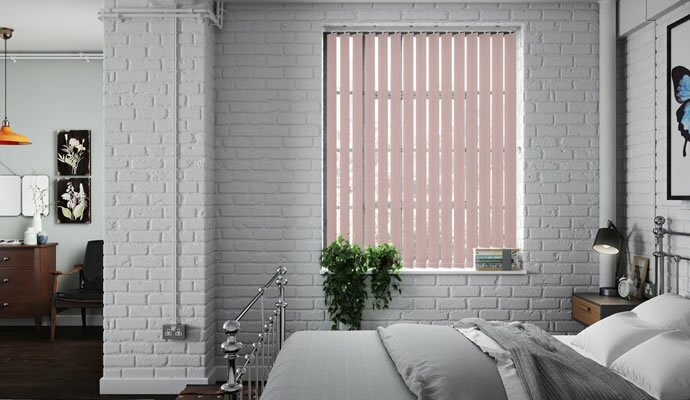 The perfect choice for the sanctuary of your bedroom, pink blackout blinds are both a beautiful and extremely effective addition for keeping out excess light. 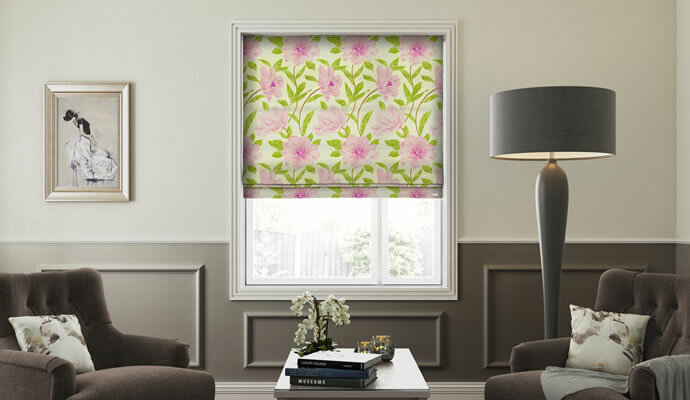 You can give conservatory blinds a far softer feel in pink to create a more relaxing atmosphere, no matter what time of day it is. 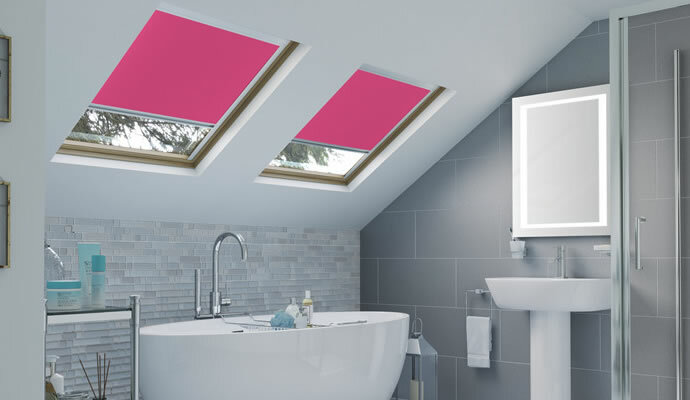 Pink skylight blinds are the perfect combination of practicality and design, beautifully and effectively enhancing the style of any loft conversion.